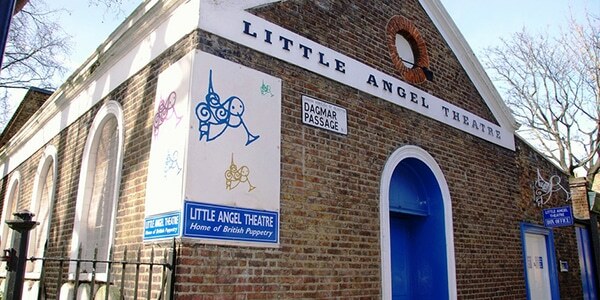 The Little Angel Theatre opened on Saturday 24th November 1961. It was founded by a troupe of puppeteers lead by John Wright in a temperance hall in Islington. The company continued to perform full scale shows of puppet theatre, including tours over the UK and abroad, larger productions for the Barbican and South Bank, and participation in the International Puppet Festival. The company continued developing its touring productions until they had up to 3 companies touring at one time, as well as a resident company in the 100-seat Islington venue. The company and theatre continue to show diverse puppet theatre, drawing from a range of traditions and storytelling practices. The theatre also welcomes many visiting puppet companies, providing a UK with a chance to experience the diversity of this fascinating theatrical genre.